Hey guys! I’m SUPER excited for today’s post because Rachel Rosenthal is taking over. She’s an organizing expert – so you already know you should bookmark this post, ha – and founder of www.RachelRosenthal.co and Rachel and Company, a DC-based pro organizing firm. They’ve worked with over 2500+ clients and partnered with huge brands like West Elm, Pottery Barn and more! She’s been featured on Martha Stewart, the Rachael Ray Show and local NBC, ABC and Fox morning shows, but no biggie =P So, now that I’ve officially fangirled, I’ll let her take over and share her top closet organization tips with you guys. As an organizer, what I’ve found more often than not that people are less than impressed with their closet space. 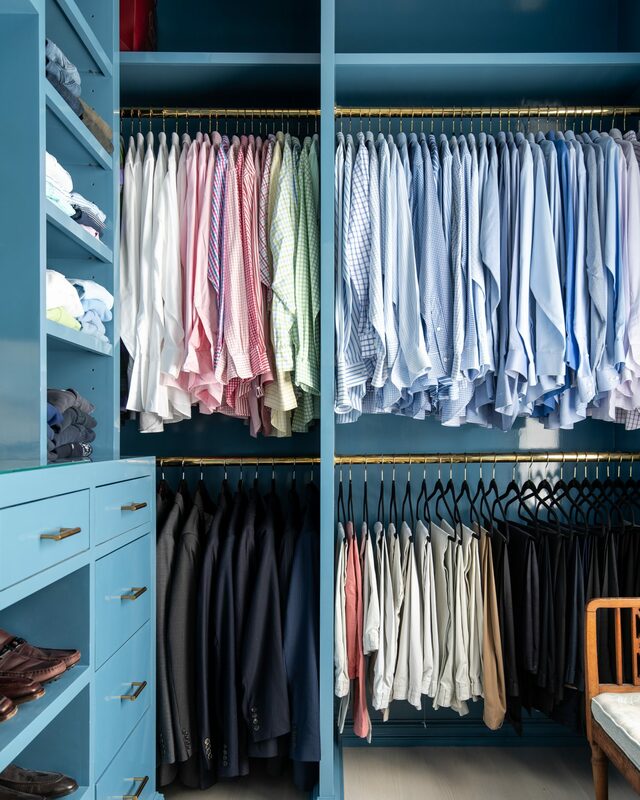 Whether your closet is too small, too difficult to navigate, or full of too many pieces that you no longer use or wear, closets are a common area that cause people headaches.The good news? 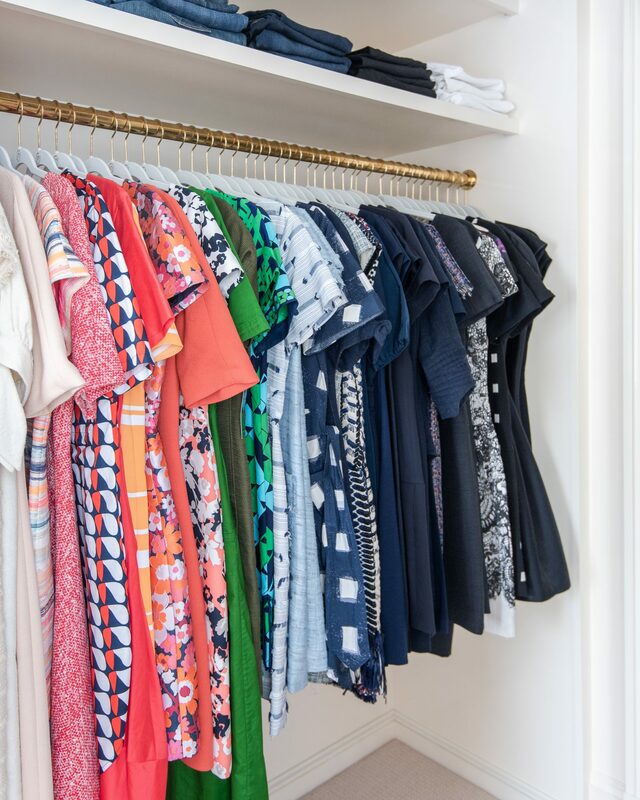 It is possible to get organized, regardless of your closet size! The thing that can be difficult to realize is that the space that is available needs to serve as your limit. 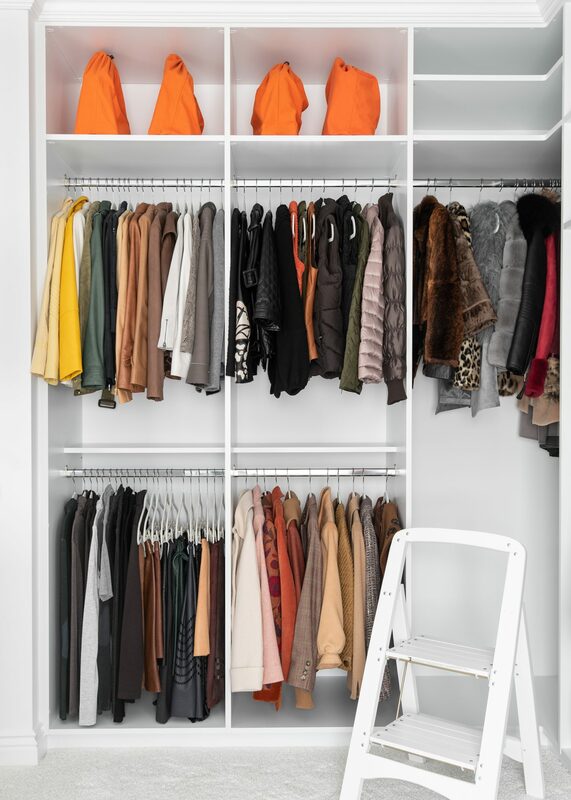 When it comes to storing your clothing, it’s most important to make sure that everything is visible and easily accessible, and a great way to do that is through categorization. Creating categories based on how you live will not only make it easier to access the outfit of the day, but makes keeping up with the overall system easy to manage because it’s created based on how and what you wear. Categorizing is a budget-friendly way to streamline a closet and enhance the overall look of the space, regardless of its size or design. 2. Maximize your storage space. Give whatever pieces you are reaching for most often priority placement in your closet. Reserve the under-the-bed space or other auxiliary areas for your off-season clothing or less frequently used items. Remember that you are not only confined to your clothes hanging bar – think high, low, and utilize the back of doors. If you are limited on space, there are products out there that can help you make the most out of your usable space. For example, hanging sweater bags and shelf dividers are a great way to get the most out of your closet and help to organize sweaters, handbags, or even to separate your wardrobe for the week by putting outfits for each day in each of the slots. It’s normal to talk yourself out of getting rid of something, especially if it cost a lot or you got it on a great discount or it was a gift. However, if you aren’t using it and it’s adding clutter to your life, it is not benefiting you and is not being used for the purpose that you purchased it or were gifted it. And maybe there are clothes that you are holding onto “just in case” – you know, just in case you lose weight or just in case you go to a specific event or vacation. Well, if and when those situations come up, you will probably be so excited that you will go out and buy something new instead of turning to something that you’ve been hanging on to. Think about the now and focus on the future “what ifs” as they happen. Before you transfer your out of season clothing into storage bags or bins, make sure to make any repairs and clean the items before packing them away. That way, when it’s time to pull them back out they are ready to wear. Add a label to the side of your bin to note exactly what is inside (ex. “Spring/Summer Dresses”) to make it easy on yourself when it comes time to find what you need when you need it. Take care of your clothing by covering it while it is being stored. That means putting items in boxes with a lid or in bags that can be fully closed to prevent damage. This is especially important for kids clothing if you want to store for future use, so make sure to write the type of clothing or season and the sizing on a label. 5. Know when it’s time to donate and consign. When you are ready to go through your closet and see what to keep/consign/donate, the number one thing is to touch EVERYTHING. Pull everything out and hold it in your hands. Do you love it? Do you wear it? If you answered “no” then consider donating or consigning it. A huge thanks to Rachel for the bomb post! Make sure you guys check out her site, her online course, and follow @rachelorganizes on Instagram to keep in touch and stay in the know. And if you found this post helpful, make sure you share it with all your frands and family. Until next time! Sending so much love from the DMV. Very useful tips! I’m always annoyed at how my wardrobe is organized, it’s so small and old that the doors don’t open properly, it’s dark inside which makes it difficult to see everything properly sometimes and it’s super humid inside which ends up ruining clothes sometimes. I’m always trying to organize it and make it easier for me but a couple of weeks later I end up not liking it and reorganizing again. Definitely gonna follow your tips, if they come from a pro then I’m sure I’ll succeed.